Back in January I was part of a 4 person show at the Main Street Gallery in Huntington. Like I said, trying to catch up. 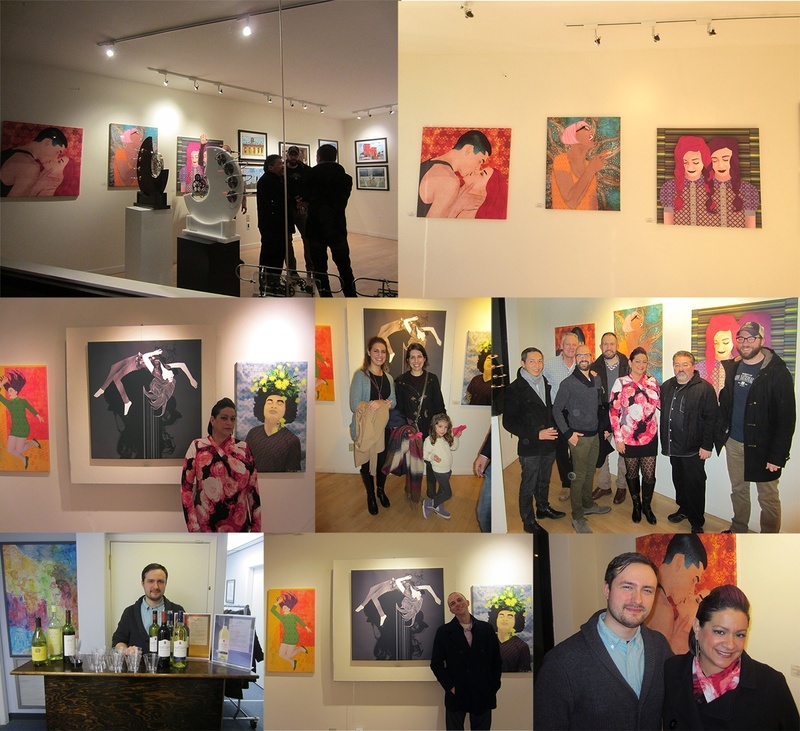 The other artists included in the show were digital artist Alan Richards, sculptor Andrea Davide, and painter Ginger Balizer-Hendler. The exhibition demonstrated how traditional techniques and concepts are being combined with digital platforms and evolving techiniques. The artwork I included in the show focused on my interpretive portraits. All but one of the images I selected for the show exude color and pattern while the individuals themselves have been given my semi- surrealist touch. To my surprise the lone black and white piece I included was a favorite amongst the attendees at the opening. In regards to my own work and that of my new friend Alan Richards, whose work showed next to mine, I’m grateful that the artistic community is finally beginning to deem digital pieces of artwork just as important as traditional forms of art. It’s a huge turn around even within the last five years. I’ve experienced artistic prejudice so many times in the past because of the medium I have chosen to work in. Most recently an art invitation I recieved specfiically states "no giclee prints". Why send me the invite? Do they not understand what I do and that's one of the ways I output my work. Geez! Getting back to the opening, I was moved by how many people were curious about my process and influences at this particular exhibition. I was touched to see in attendance at the opening my mom who had had brain surgery the week prior, her friend Joan, Nora and Drew, Jim, Amy, Allen with a bad cold, Gil, my fellow art teacher Kristen Singer, former art student Kean Ferin who served and brought the wine for the event (yeah awesome kid), another former art student of mine Gabrellia Ferrara, who is now working in the textile design industry and the list goes on. I only had time briefly at the end of the night to grab some pics. The gallery was packed. Everyone had a great time and the party continued well after. Can't wait for the next time!